I love Mother Nature, that’s why I recycle LESS!! Today I’m sharing a Throw-Back Thursday post that’s proved very popular with my readers. Sometimes we feel being eco friendly is difficult or will result in feelings of deprivation. Surprise! That’s not the case. Come see the easy ways I give Mother Nature a big, wet kiss on the mouth! I Love Mother Nature So I Recycle LESS! 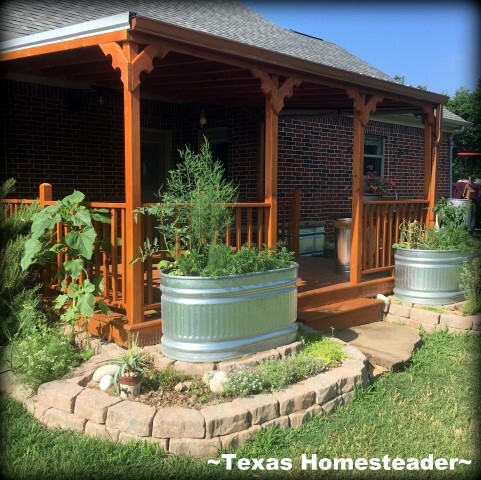 This entry was posted in Blog Posts and tagged Throwback Thursday on April 25, 2019 by Texas Homesteader. Happy Easter. Glory, Hallelujah – He Is RISEN! For all my Christian friends – what a glorious day today is. Happy EASTER. 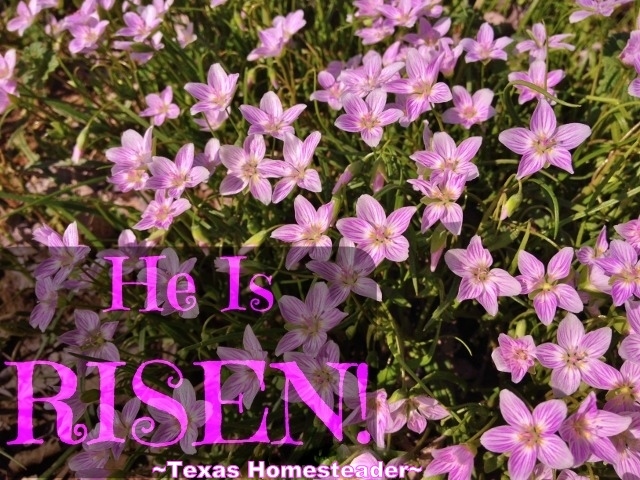 This entry was posted in Blog Posts and tagged Flowers, Inspirational, Spring on April 21, 2019 by Texas Homesteader. But it’s true. I don’t enjoy the planting, weeding, watering, maintenance, etc. But I really love the harvesting and that makes it all worth the toil. Harvesting fresh veggies from my own garden minutes before supper is healthier than veggies traveling all those miles to get to my supper table. Plus food this fresh just tastes better! And I’ve often said that growing your own food is like printing your own money. Pounds & pounds of fresh, organic produce for just the price of a small packet of heirloom seeds? Yes please! Wanna see how my garden is doing? C’mon in, I’ll share my April garden update! This entry was posted in Blog Posts and tagged Gardening, Spring on April 18, 2019 by Texas Homesteader. I love the concept of edible landscaping. Just because a plant grows something you can eat doesn’t mean it can’t be beautifully incorporated into your landscape plan. I’m fond of adding carrots along the perimeter of my plantings for it’s lacy greenery border. And I love using the bold crinkly leaves of a spinach plant for interest, or to anchor a planting area with a vibrant zucchini plant. I’ve used blueberry bushes in place of typical landscaping bushes. The possibilities are endless! Recently we had an Outdoor Living room built to extend our back porch. I sat out to Landscape It On The Cheap. As always I strove to plant edibles in two huge galvanized trough planters. 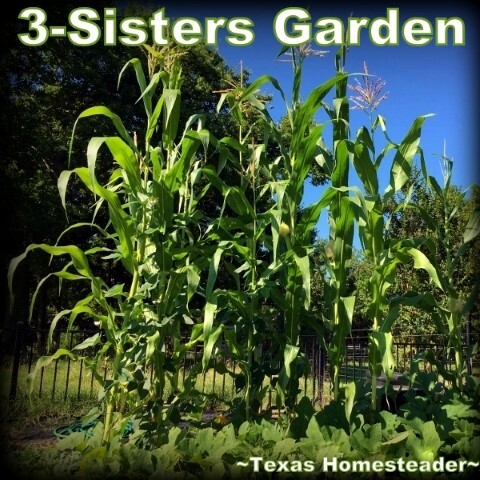 This entry was posted in Blog Posts and tagged Frugality, Gardening on April 14, 2019 by Texas Homesteader. Today as I do each year, I tiptoe into a powerfully emotional & volatile day. It’s the anniversary of the day I kicked breast cancer to the curb. First & foremost, I Praise God for my healing! I’m grateful for my health but… this particular day each year just always sends me into pretty hard emotional turmoil. Fear, dread, maybe survivor’s guilt? I don’t know, but it grips me each year. Hard. 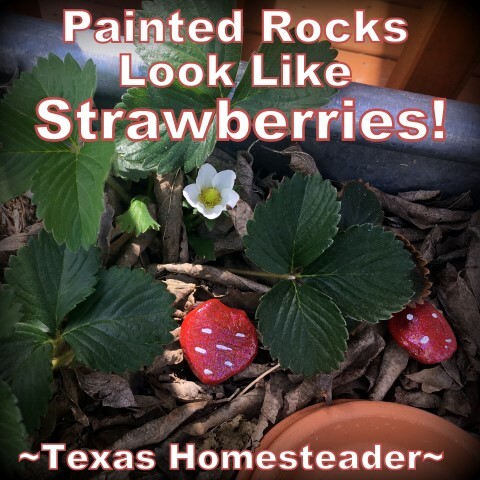 This entry was posted in Blog Posts on April 12, 2019 by Texas Homesteader. This is my first year to plant strawberries, y’all! I’ve included them in my Edible Landscape this year. But I’ve been reading lamentations from other gardeners about the birds stealing those strawberries riiiiiight before harvest time! Now I don’t remember where I saw this hint (so sorry to whomever opened my eyes) but this is brilliant. 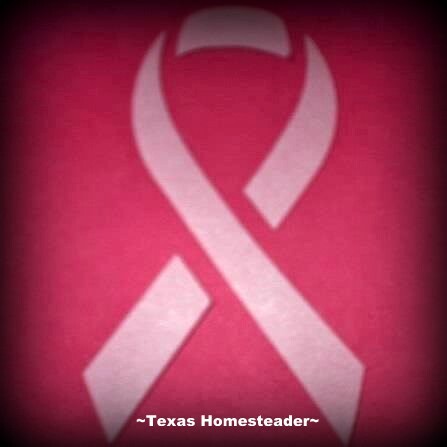 This entry was posted in Blog Posts on April 11, 2019 by Texas Homesteader. A popular garden planting strategy often attributed to the native American Indians is the 3-Sisters Garden. This is a garden in which corn, beans and squash were planted. But they were planted for very specific reasons. Each vegetable helped the other. And by helping each other, each vegetable also benefited by growing strong and producing a crop. 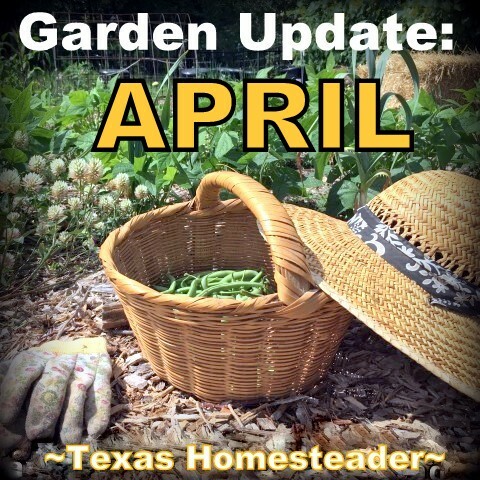 This entry was posted in Blog Posts and tagged Gardening, Spring on April 7, 2019 by Texas Homesteader. We’re all trying to save a little cold hard cash these days. But sometimes it feels overwhelming just knowing where to start. And sometimes it feels if we’re not doing something grand to save wads of cash, we’re not really making an impact. But I’m here to tell you there are small things you can do every day to save money. And they’re not big bold moves. The key is to make easy, effortless and yet effective decisions. A mind-shift change is all that’s needed. You need to look at your daily activity with a tilt on “I wonder if I could…” You’ll see what I mean. 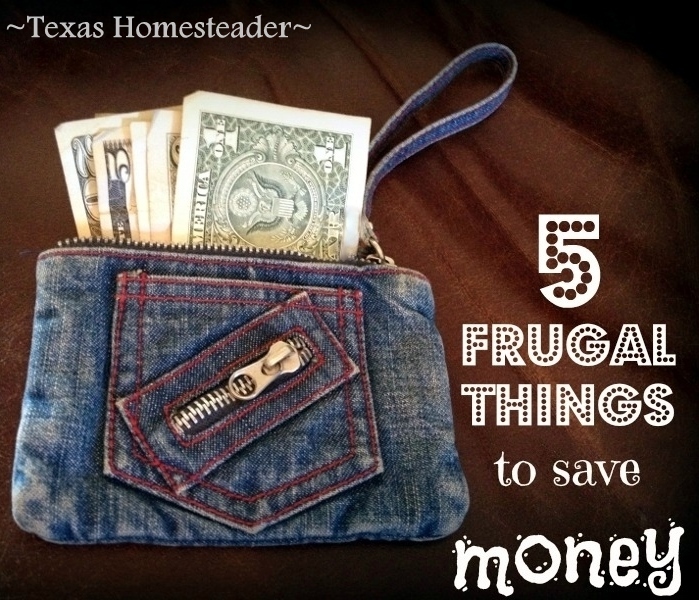 Come see 5 frugal things we did this week to easily save money. 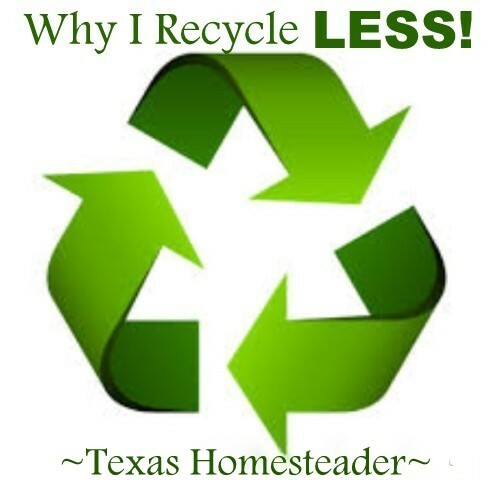 This entry was posted in Blog Posts and tagged Frugality on April 4, 2019 by Texas Homesteader. Rice Krispie Treats, With A (Chocolate) Twist! RancherMan was in the mood for something sweet. But I wanted to use only ingredients that I already had in the pantry. Hummm, let’s see. There was an older bag of marshmallows (when did we even buy those??) and a partial box of Rice Krispies cereal. Maybe I can make some Rice Krispie treats. Oh my goodness – somebody please save me from myself! These are absolutely amazing. I found the recipe for plain Rice Krispie treats on their site. (you can use any crisp rice cereal though). But of course I added chocolate because chocolate makes everything better! 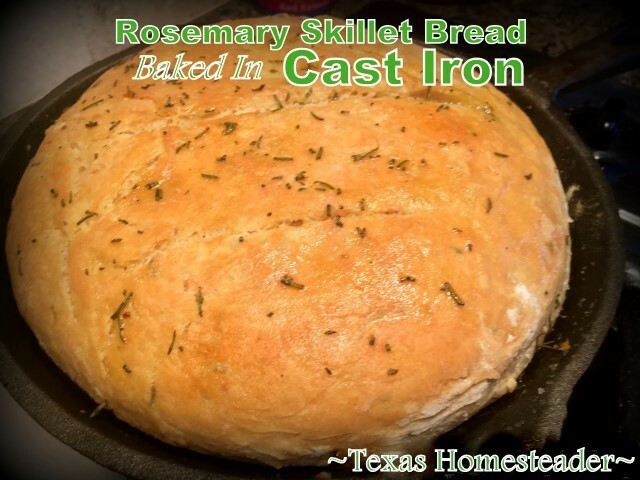 This entry was posted in Blog Posts and tagged Cooking, Recipes on March 31, 2019 by Texas Homesteader. Today’s throwback Thursday post is aaaaaall about bread. Y’all know RancherMan’s a certified bread-a-holic. He loves bread in all its forms. And I have several bread recipes I make for him. One of our favorites (and one of the easiest) is a no-knead skillet bread flavored with fresh rosemary. Its simple, delicious and the texture is delightful. We like to infuse olive oil with various herbs & spices for dipping. Delicious and fancy enough for company! 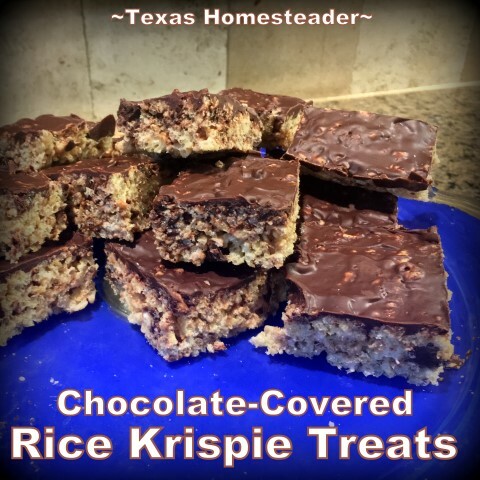 This entry was posted in Blog Posts and tagged Throwback Thursday on March 28, 2019 by Texas Homesteader.